When it is time to shop for new carpet, hardwood, tile or area rugs, Central Indiana has no shortage of choices. From do-it-yourself big box stores to high-end, full service stores. There are plenty of flooring options. So why should you look at Kermans? 1. We're more affordable than you might think. Go ahead, do some price shopping. We think you’ll be pleasantly surprised that the service and quality you’ve always associated with Kermans comes with a price tag that is very affordable. You simply won’t find this service and value anywhere else. 2. We carry the brands you're looking for. Kermans is proud to carry some of the best-known names in high quality carpet, area rugs, hardwood and tile. Names like Karastan, Mohawk and Shaw; Anderson and Armstrong; Castelli and Mannington. We believe that where you get your flooring makes a difference and we have established relationships with the leading manufacturers in the flooring industry. See for yourself! 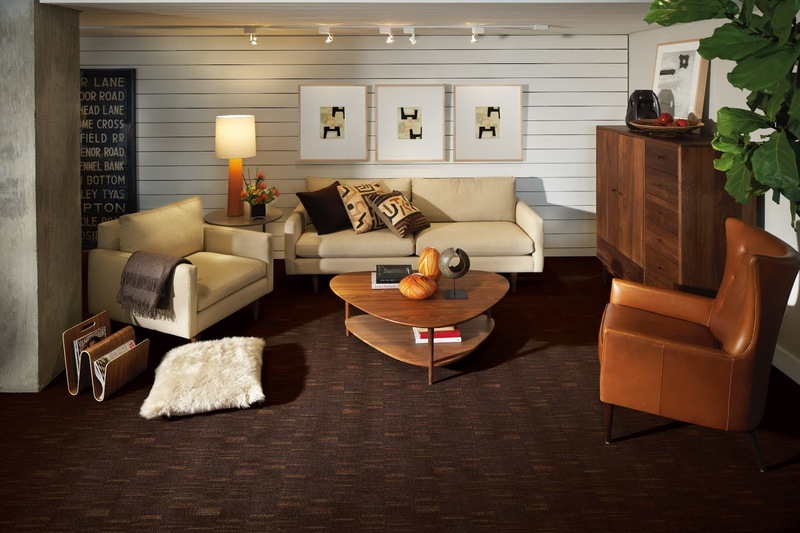 Stop by our showroom today to see our carpet selection first-hand. 3. We offer decades of experience. 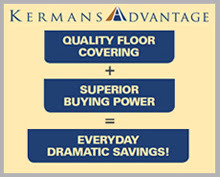 Since 1921 Indianapolis homeowners have been coming to Kermans when they need new flooring for their home. We started as a small, oriental rug company and have grown into one of the premier flooring suppliers in Central Indiana. Today, Kermans is run by the third generation of the Benjamin family. The foundation of Kermans remains quality, service and a rich tradition of values that stands strong even in the midst of an ever-changing market. 4. Expert advice without the expert price tag. Our showroom floor is staffed by design consultants and their services are available to you at no extra charge. They listen to you, ask where you live, learn about your lifestyle and how many people are in your family... and then they make recommendations about the best flooring options for you. It's the personal touch that makes the difference between a floor covering and an enhancement to your home. We are the largest flooring resource in Central Indiana for builders which gives us big buying power and gives you big savings. Exceptional carpet, tile and wood supported by a relationship with all of our customers big and small. Comparable prices with incomparable service. Decades of experience and industry connections brings knowledge and cost savings directly to every one of our customers. Wide selection and truly affordable pricing. Design assistance, estimates and measures at no additional charge. The Kermans Advantage starts with the Kermans Experience. Since 1921, people have come into our door expecting to find a wide variety of beautiful floor coverings. They keep coming back because of the service they receive. When you visit our store, you’ll find the leading names in floor covering but most importantly, you’ll find honest advice from our sales people. Because we understand that you’re not just looking for floor covering – you’re looking to enhance the value of your home and the quality of your life. That’s the Kermans Experience – unparalleled service and knowledge backs up every sale. Whether you are carpeting a mansion or looking for an area rug for your first home, you’ll experience the same attention, care and exceptional result. And that's why you should make Kermans your first and last stop when you're shopping for carpet, area rugs, hardwood or tile.